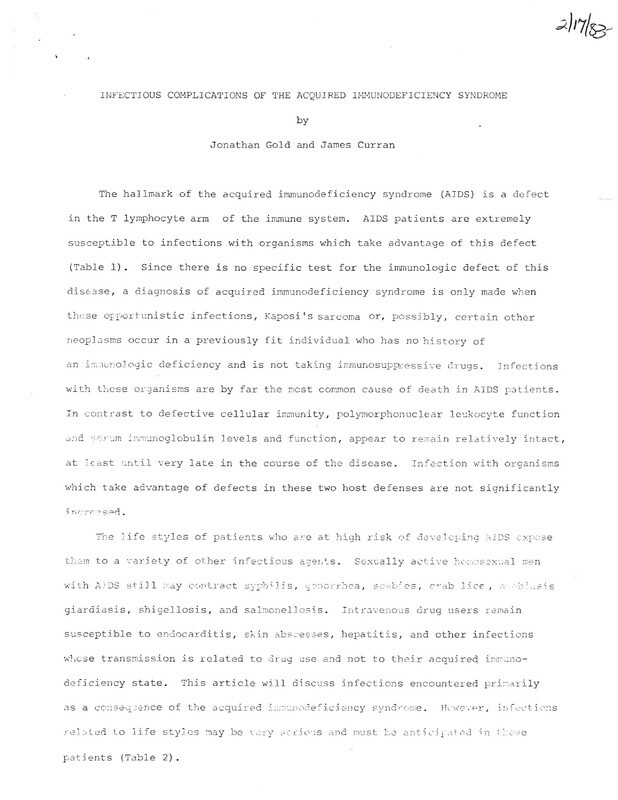 Infectious Complications of the Acquired Immunodeficiency Syndrome. Authors Jonathen Gold and James Curran. AIDS is a defect in the T lymphotcytes in the immunce system, there is no effective methods for eliminating or reducing the immunosuppresion seen in this syndrome. “REPORT ON AIDS COMPLICATIONS,” The Global Health Chronicles, accessed April 22, 2019, https://globalhealthchronicles.org/items/show/6536.